During special times throughout the year, Grandma would always get out the silver eating utensils only to discover that some needed the dark blackish dross removed. Once the silverware was polished and shiny it was then ready for use. Sadly, we often discover in our Christian Walk that when it is needful for us to use the tools that God has provided, they are often tarnished rendering them not very useful. We can relate to those times in our Christian walk when we become frustrated because we cannot remember a Scripture verse, or a Bible promise of which to respond in a given situation. Whether the need is to thwart off the temptation of the Devil or to encourage a brother in the Lord, it is imperative that we are learned in the Word of God. Daily personal devotions does not always give one enough in-depth knowledge of the Bible to be an effective witness. Although many of God’s people make an attempt to memorize certain key verses they often have difficulty finding where specific events and subjects are discussed within the pages of Holy Writ. It is amazing that our Founding Fathers knew where to find the inspired principles of government set forth in scripture. The Scripture principles are incorporated within our Constitution. Would the average Bible Believing child of God be able to find in the Word where God says that homosexual activity is an abomination; or in which book and chapter that one finds the Ten Commandments? Surely we would all know what verses were included in the Roman’s Road. Without debate most Christians will testify to the importance of being a student of God’s Word. We are commanded to put on the whole armor of God. Our armor must not be tarnished by the dross of ignorance; it must possess the glittering shine of understanding. This can only come about by diligently studying the Bible. Why is this so important? We will find the answer in Ephesians chapter 6. God commands in verse 11 that we put on the whole armor of God………so that we may be able to stand against the wiles of the devil. We are living in perilous times and we need to be able to withstand in this evil day. Verse 12 reminds us that our battle is not against flesh and blood, but against principalities, against powers, against the rulers of the darkness of this world; against spiritual wickedness in high places. From now on until the Rapture we are in an all out war against those who are being used by Satan to foster his evil works. We have an urgent need to resist the enemy and hold a critical position in the battle. We are soldiers of the Cross of Jesus and we must assume the God-given responsibility to confront not only Satan and his demons but also World, National, State and local rulers who are involved in spiritual wickedness. It saddens me that there are Fundamental Bible preaching Pastors who will not preach politics from the pulpit. Moses and Aaron confronted Pharoah; John confronted Herod on the sin of adultery; our Founding Fathers not only confronted, but revolted against the British King in order to have religious freedom. 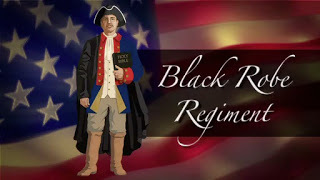 And what about the Black Robe Regimen of the Revolutionary War; these God-fearing preachers took off their clerical robe and donned the Union Army Uniform to fight alongside the men of their congregation. May I dare say that we have a bunch of milquetoast men in the pulpits of America. There is a drastic need for God’s people to get their heads out of the sand and get involved in the political issues of this day and age. History records that in the early days of our founding that a man needed to be a bona-fide, practicing, possessing Christian in order to run for office of any kind. Today, we have the fool-hearty idea that goodly men do not undertake a career in politics AND that is why our Nation is in such a mess. In my particular community, there are about six city council seats up for election this spring. Out of the three or four Bible preaching churches in this city, only one man took up the mantle to seek to represent his district. So sad! As the tentacles of the beastly Agenda 21 are interweaving into the very rural areas of our World, Nation and State, sucking away at our liberties, our unalienable rights, and our very lives, it becomes more imperative that God’ s people have their feet shod with the preparation of the gospel of peace, they must take on the shield of faith so that they will be able to quench the fiery darts of the wicked. With the helmet of salvation and the sword of the Spirit we need to give ourselves to praying with all prayer and supplication in the Spirit. Persecution is coming, my brethren, no matter where you are in this world. In order to fight our enemy we must get to know him and then do our best to prevent his socialistic doctrine into our lives. As we are becoming knowledgeable of scripture, there is also a need to learn what is in our Constitution. 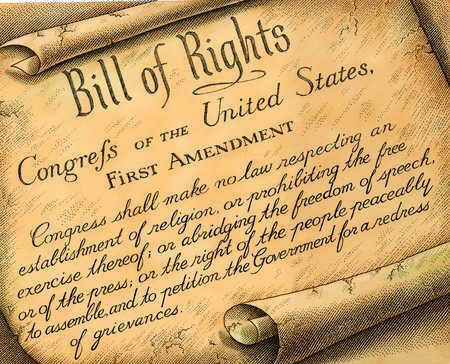 Did you know that according to the Constitution it is illegal for the United States Supreme Court to make laws. This fact in itself would strike down Roe v Wade. In addition, we are instructed within the Constitution to impeach those members of the Supreme Court who are guilty of inappropriate behavior, like making laws! 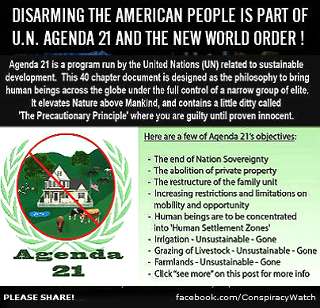 How about Agenda 21 and the sustainable development that is being shoved down our throats. This is not a conspiracy, it is an action plan by the United Nations in pursuing the one World Government. With their Declaration of Human rights set to replace the freedoms of our Bill of Rights, our property, our possessions and even our lives will be at their disposal. We have the right to impeach those in authority who are replacing our God inspired Constitution with this Satanic, socialistic agenda. Our God has commanded us to occupy until He comes. 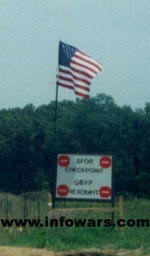 That means stand against evildoers. As we become informed as to what is going on in the world, we then need to engage in any honorable way to stem the tide of wickedness in high places, and then give ourselves to interceding at the Throne of Grace for our Brethren, our Country, and our Families. Even so come quickly, Lord Jesus. Who are the Globalists and what is a Globalist. 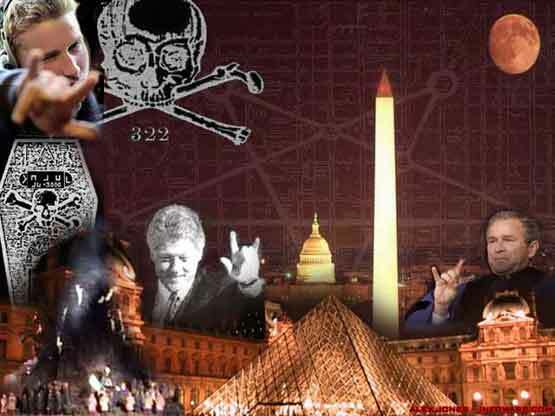 This informative article is a confirmation of the sinister undertakings by key people in positions of leadership who are being used by Satan to establish a One World Government as prophesied in the Bible. A must read for all of God’s people!